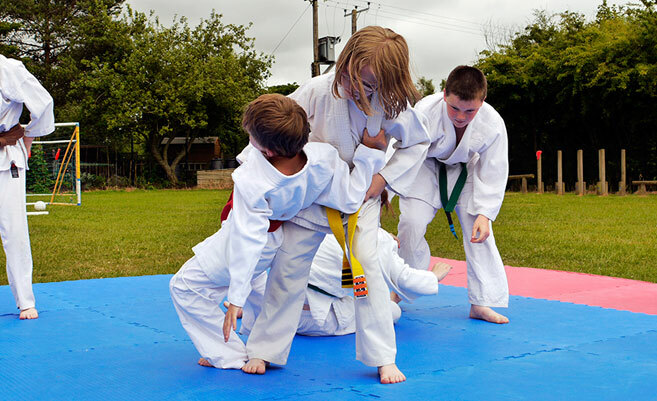 Tanigawa Martial Arts prides itself on offering all our members a complete judo experience. Success in judo comes from a strong technical base from which to develop from. If you are new to Judo, or an established Judo-ka, interested in competition, refereeing, kata, self defence or technical improvement, our highly-qualified, insured and experienced CRB-checked coaching team are able to deliver your needs. 1. Teach and promote traditional Judo and its principles. 2. Provide a safe and friendly environment. 3. Encourage the involvement of parents and families. Whether you are attending one of our classes as a complete beginner or an existing Judo-ka you will find a warm and friendly welcome. We pride ourselves on looking after anyone who is interested in practising Judo. Judo is a close contact activity and as such we require a high level of personal hygiene, and fingernails should be kept clean and short. No jewellery (inc body piercing's) should be worn for practice and long hair should be tied back with a soft non metallic band. A typical session will start and end with a formal bow (Rei), wether it be standing or kneeling, and is as a sign of respect from students to instructors for what they learn, and from instructors to students for their time and attention. This is followed by a warm up that will be specific to the planned session. The warm up prepares the body for action. Typically the warm up would be followed by breakfall practice (ukemi). Breakfalling is the activity that protects you and allows you to land safely when being thrown. The session could then continue with learning and practising the skills required for Judo which are then reinforced with specific training drills and directed free practice. The sessions always conclude with a cool down, check for well being, notices and a formal bow (rei).